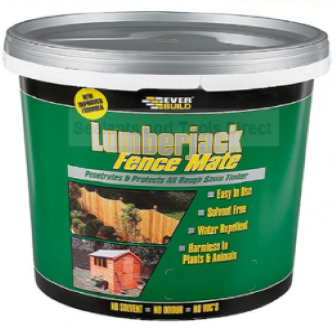 Lumber Jack Fence Mate is an easy to use solvent free. Designed for use on all rough sawn garden timber including sheds, fences, gates, hutches, kennels, cold frames and trellises. Shed and fence treatment specifically designed to provide a safe alternative to creosote without the associated hazards. The Colour last up to six times longer than creosote. Will cover existing creosote, providing it is well weathered, i.e. it is non-water repellent. Harmless to plants and animals. 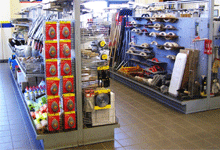 Water clean up of spills and tools. 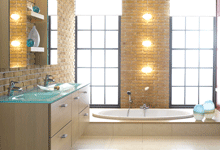 Water repellent special waxes shed water for increased durability..